How Big Is a Horse Trailer? A standard straight-load trailer designed to haul two horses features an inside stall width of 6 feet, a 10-foot trailer length and a roof height of 7 feet, 6 inches. A standard trailer hauls horses 14 to 16 hands high. An extra-large straight-load horse trailer has an 11-foot stall and is 6 feet wide with a roof that stands 7 feet, 8 inches tall. An extra-large trailer has a 96-inch-wide axle to account for larger horses and heavier weights. 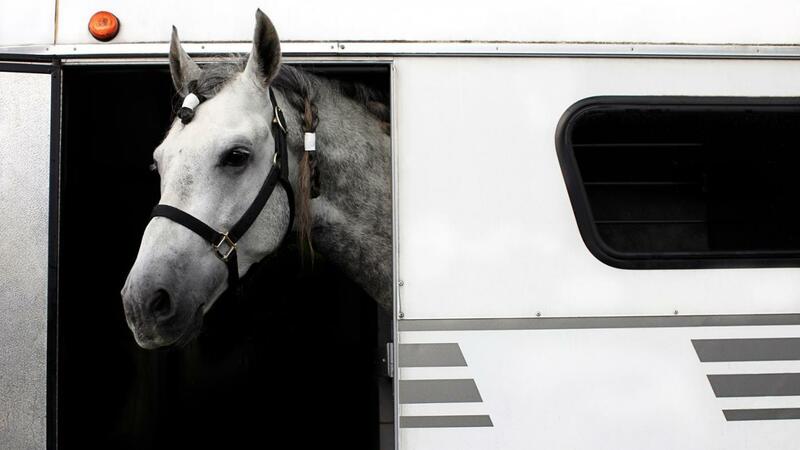 This trailer hauls horses from 16 to 17 hands in height. There are also double extra-large straight-load horse trailers with axles of 102 inches to haul horses between 18 and 19 hands in height. Some manufacturers also custom build horse trailers based on the horse’s size. How Big Does a Japanese Snowball Bush Grow? What Is a Balance Beam Used For? What Is the Average Height of a Horse?